When you want to install Windows XP, it usually does so without too much of a problem, but now and again it will fail. It’s usually either during the copying files phase (with the blue screen) or when the installation setup is going on. I was installing Windows XP the other day, and the installation failed on me. An error message appeared like the one below. “An error has been encountered that prevents Setup from continuing. Installation Failed : D:\I386\asms. Error Message : Manifest Parse Error : Invalid at the top level of the document. Manifest Parse Error: Invalid at the top of the document. I thought that maybe the XP was corrupted and somehow was not suitable to install on my computer. I tried searching if anyone had the same problem as me during installing Windows XP but none seemed to have had this problem at the time. I started to think that maybe I did not burn the ISO image correctly because I was doing a fresh clean installation. From the Microsoft Knowledge Base, it stated that this issue may occur if the file that is on the Windows XP CD-ROM is damaged. I checked the XP CD that I burnt and it had a little scratch. I took a new CD-R and burn the Windows XP ISO image again. This time I am able to install without problems. So if you have an error message during the file copying or install process, just try another CD or clean the CD if it looks dirty. I would say the majority of the time this will work. If your CD-ROM looks fine or you have just burnt a new disk and still experience an error during install, you could be looking at other issues such as a problem with the ROM drive. Use a laser cleaning disk in case to clean off any dirt on the laser or try another drive if you have one to hand. Also, a small tip I have heard about for many years is not to burn the Windows CD at more than about 8x writing speed. Although I’ve never had a problem with 16x or 32x burns myself, it is something to keep in mind. 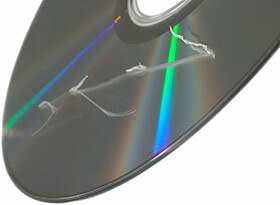 Unfortunately, a known good CD-ROM and a verified fully working ROM drive leads to possibly either memory errors (re-seat your memory sticks, run a RAM testing utility like Memtest86, or replace the memory), or failing that an error with the hard drive which will need scanning for errors or replacing.